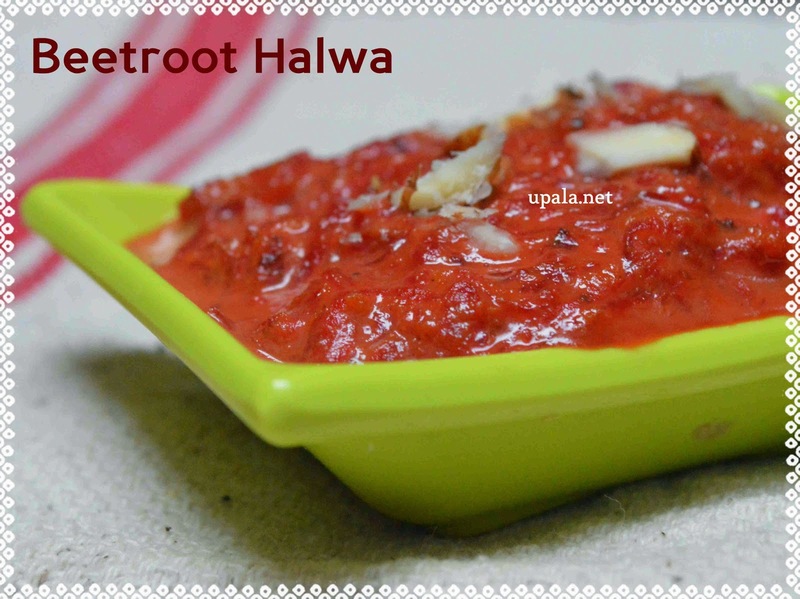 Beetroot halwa is a tasty and healthy sweet dish. 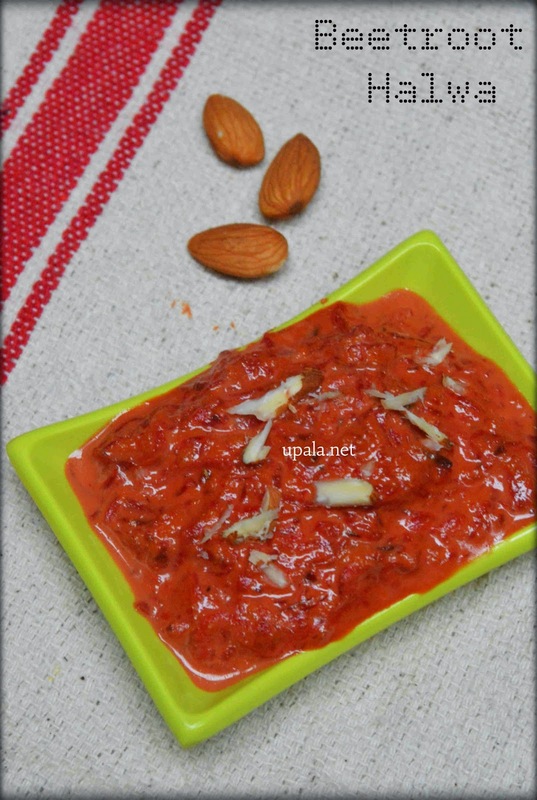 I have used condensed milk to prepare this halwa. 1) Heat 1 tbsp ghee in a kadai and add grated beetroot. Fry them on low flame till the raw smell goes off and it turns tender. 2) Add milk to beetroot and let it cook in low flame till all milk gets absorbed. Occasional stirring is needed. 3) Beetroot Halwa will start thickening. At this stage, add condensed milk and mix well. 4) Add remaining Ghee, Cardamom powder to halwa. Mix well and switch off the flame. 5) Garnish with Cashews and Badam before serving. 1) As I am adding condensed milk, I have skipped sugar. But you can add 1 tsp of extra sugar if you are a sweet tooth.